A standard approach to Information Retrieval (IR) is to model text as a bag of words. Alternatively, text can be modelled as a graph, whose vertices represent words, and whose edges represent relations between the words, defined on the basis of any meaningful statistical or linguistic relation. Given such a text graph, graph theoretic computations can be applied to measure various properties of the graph, and hence of the text. This work explores the usefulness of such graph-based text representations for IR. Specifically, we propose a principled graph-theoretic approach of (1) computing term weights and (2) integrating discourse aspects into retrieval. Given a text graph, whose vertices denote terms linked by co-occurrence and grammatical modification, we use graph ranking computations (e.g. PageRank Page et al. in The pagerank citation ranking: Bringing order to the Web. Technical report, Stanford Digital Library Technologies Project, 1998) to derive weights for each vertex, i.e. term weights, which we use to rank documents against queries. We reason that our graph-based term weights do not necessarily need to be normalised by document length (unlike existing term weights) because they are already scaled by their graph-ranking computation. This is a departure from existing IR ranking functions, and we experimentally show that it performs comparably to a tuned ranking baseline, such as BM25 (Robertson et al. in NIST Special Publication 500-236: TREC-4, 1995). In addition, we integrate into ranking graph properties, such as the average path length, or clustering coefficient, which represent different aspects of the topology of the graph, and by extension of the document represented as a graph. Integrating such properties into ranking allows us to consider issues such as discourse coherence, flow and density during retrieval. We experimentally show that this type of ranking performs comparably to BM25, and can even outperform it, across different TREC (Voorhees and Harman in TREC: Experiment and evaluation in information retrieval, MIT Press, 2005) datasets and evaluation measures. We thank the blind reviewers for their insightful feedback which contributed in strengthening this work. The Hubble Space Telescope has detected what scientists believe may be the oldest galaxy ever observed. It is thought the galaxy is more than 13 billion years old and existed 480 million years after the Big Bang. A Nasa team says this was a period when galaxy formation in the early Universe was going into overdrive. The image, which has been published in Nature journal, was detected using Hubble’s recently installed wide field camera. According to Professor Richard Bouwens of Leiden Observatory in the Netherlands: We’re seeing these galaxies—star cities—that are building themselves up over cosmic time. The research team observed rapid growth over a relatively short period of time: Their sample data showed just one galaxy visible about 500 million years after the Big Bang. But this rises to 10 galaxies some 150 million years later. The tally has doubled about 100 million years later. You start out with these little seeds in the very early Universe which would eventually have formed stars, then star clusters, baby galaxies then eventually these large majestic galaxies that we know today, according to Professor Bouwens. It’s very exciting to see this complicated physical process actually take place somewhere that no man has seen before, Professor Bouwens told BBC News. He compares the early galaxy to a toddler: It is much smaller than older galaxies like our own Milky Way and it is growing more quickly. We can use these measurements to learn how fast galaxies grow and build up with cosmic time, according to Professor Bouwens. Dr Olivia Johnson of the Royal Greenwich Observatory at the National Maritime Museum says that quantifying the rapid evolution of the Universe will reveal a greater detail about what was happening in the early cosmos—such as when the first stars and galaxies formed. These are big, open questions in astronomy and the fact that we are finally able to look into the primordial universe for the first time is quite exciting, she said. The fact that we are finally being able to look into the primordial universe for the first time is quite exciting. Dr Robert Massey of the Royal Astronomical Society (RAS) says the new image from Hubble will enable astronomers to test their current theories of the evolution of the Universe. Professor Bouwens stressed that the observation had yet to be confirmed but that he and his colleagues were pretty confident that they had discovered the oldest galaxy caught on camera to date. There are many different sorts of objects that can masquerade or look very much like these distant objects. We’ve done lots of checks and lots of tests and we think that this candidate is OK, he said. It’s filling in the gaps.Although we have ideas about the formation of the Universe, it is quite difficult to go from the primeval soup in the early stages of the Universe to the Universe we are in. Images like the one we have today helps plot that journey. Astronomers are eagerly awaiting the launch of Nasa’s James Webb telescope in 2014 which will be able to delve perhaps 200 million years further back in cosmic time when galaxies were just beginning. As the title suggests, bestselling author Bryson (In a Sunburned Country) sets out to put his irrepressible stamp on all things under the sun. As he states at the outset, this is a book about life, the universe and everything, from the Big Bang to the ascendancy of Homo sapiens. This is a book about how it happened, the author writes. In particular how we went from there being nothing at all to there being something, and then how a little of that something turned into us, and also what happened in between and since. What follows is a brick of a volume summarizing moments both great and curious in the history of science, covering already well-trod territory in the fields of cosmology, astronomy, paleontology, geology, chemistry, physics and so on. Bryson relies on some of the best material in the history of science to have come out in recent years. This is great for Bryson fans, who can encounter this material in its barest essence with the bonus of having it served up in Bryson’s distinctive voice. But readers in the field will already have studied this information more in-depth in the originals and may find themselves questioning the point of a breakneck tour of the sciences that contributes nothing novel. Nevertheless, to read Bryson is to travel with a memoirist gifted with wry observation and keen insight that shed new light on things we mistake for commonplace. To accompany the author as he travels with the likes of Charles Darwin on the Beagle, Albert Einstein or Isaac Newton is a trip worth taking for most readers. Bryson describes graphically and in layperson’s terms the size of the universe, and that of atoms and subatomic particles. He then explores the history of geology and biology, and traces life from its first appearance to today’s modern humans, placing emphasis on the development of the modern Homo sapiens. Furthermore, he discusses the possibility of the Earth being struck by a meteor, and reflects on human capabilities of spotting a meteor before it impacts the Earth, and the extensive damage that such an event would cause. He also focuses on some of the most recent destructive disasters of volcanic origin in the history of our planet, including Krakatoa and Yellowstone National Park. A large part of the book is devoted to relating humorous stories about the scientists behind the research and discoveries and their sometimes eccentric behaviours. Bryson also speaks about modern scientific views on human effects on the Earth’s climate and livelihood of other species, and the magnitude of natural disasters such as earthquakes, volcanoes, tsunamis, hurricanes, and the mass extinctions caused by some of these events. The book does however contain some inaccuracies and errors, see Errata (i.e. a list of errors) for A Short History of Nearly Everything. Anh, V. N., & Moffat, A. (2005). Simplified similarity scoring using term ranks. In Proceedings of the 28th annual international ACM SIGIR conference on Research and development in information retrieval, SIGIR ’05 (pp. 226–233). New York, NY, USA: ACM. doi:http://doi.acm.org/10.1145/1076034.1076075.http://doi.acm.org/10.1145/1076034.107607. Antiqueira, L., Oliveira Jr., O. N., Costa, L. F., & Nunes, M. G. V. (2009). A complex network approach to text summarization. Information Science, 179(5), 584–599. doi:http://dx.doi.org/10.1016/j.ins.2008.10.03. Barabási, A. L., Jeong, H., Néda, Z., Ravasz, E., Schubert, A., & Vicsek, T. (2002). Evolution of the social network of scientific collaborations. Physica A: Statistical Mechanics and its Applications, 311(3-4), 590–614. doi: 10.1016/S0378-4371(02)00736-7. http://www.sciencedirect.com/science/article/B6TVG-45S9HG2-1/2/dff30ba73ddd8820aca3e7f072aa788. Bordag, S., Heyer, G., & Quasthoff, U. (2003). Small worlds of concepts and other principles of semantic search. In T. Bhme, G. Heyer, & H. Unger (Eds. ), IICS, lecture notes in computer science (Vol. 2877, pp. 10–19). Springer. url: http://dblp.uni-trier.de/db/conf/iics/iics2003.html#BordagHQ0. Choudhury, M., Thomas, M., Mukherjee, A., Basu, A., & Ganguly, N. (2007). How difficult is it to develop a perfect spell-checker? A cross-linguistic analysis through complex network approach. In Proceedings of the second workshop on TextGraphs: Graph-based algorithms for natural language processing (pp. 81–88). Rochester, NY, USA: Association for Computational Linguistics. url: http://www.aclweb.org/anthology/W/W07/W07-021. Dorogovtsev, S. N., & Mendes, J. F. F. (2001). Language as an evolving word web. Proceedings of The Royal Society of London. Series B, Biological Sciences 268(1485), 2603–2606. doi: 10.1098/rspb.2001.1824. url: http://www.isrl.uiuc.edu/amag/langev/paper/dorogovtsev01languageAs.htm. Dorogovtsev, S. N., & Mendes, J. F. F. (2002). Evolution of networks. Advances in Physics, 51, 1079–1187. doi: 10.1098/rspb.2001.1824. http://www.isrl.uiuc.edu/amag/langev/paper/dorogovtsev01languageAs.htm. Eisner, J., Smith, N. A. (2005). Parsing with soft and hard constraints on dependency length. In Proceedings of the international workshop on parsing technologies (IWPT) (pp. 30–41). Vancouver. http://cs.jhu.edu/jason/papers/#iwpt05. Gamon, M. (2006) Graph-based text representation for novelty detection. In Proceedings of TextGraphs: The first workshop on graph based methods for natural language processing (pp. 17–24). New York City: Association for Computational Linguistics. url:http://www.aclweb.org/anthology/W/W06/W06-380. Goldberg, A., Zhu, X. (2006). Seeing stars when there aren’t many stars: Graph-based semi-supervised learning for sentiment categorization. In Proceedings of TextGraphs: The first workshop on graph based methods for natural language processing (pp. 45–52). New York City: Association for Computational Linguistics. url:http://www.aclweb.org/anthology/W/W06/W06-380. Hassan, S., Banea, C. (2006). Random-walk term weighting for improved text classification. In Proceedings of TextGraphs: The first workshop on graph based methods for natural language processing (pp. 53–60). New York City: Association for Computational Linguistics. url:http://www.aclweb.org/anthology/W/W06/W06-380. Hughes, T., & Ramage, D. (2007). Lexical semantic relatedness with random graph walks. 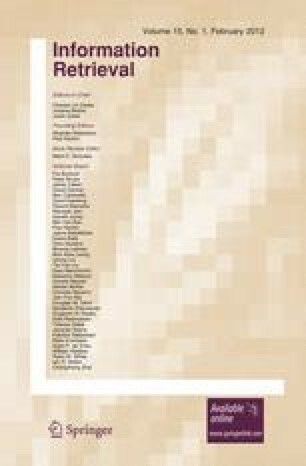 In Proceedings of the 2007 joint conference on empirical methods in natural language processing and computational natural language learning (EMNLP-CoNLL) (pp. 581–589). Prague, Czech Republic: Association for Computational Linguistics. url: http://www.aclweb.org/anthology/D/D07/D07-106. Kozareva, Z., Riloff, E., & Hovy, E. (2008). Semantic class learning from the web with hyponym pattern linkage graphs. In Proceedings of ACL-08: HLT (pp. 1048–1056). Columbus, Ohio: Association for Computational Linguistics. url: http://www.aclweb.org/anthology/P/P08/P08-111. Newman, M. E. J. (2001). The structure of scientific collaboration networks. Proceedings of the National Academy of Sciences of the USA, 98(2), 404–409. doi:10.1073/pnas.021544898 url:http://dx.doi.org/10.1073/pnas.02154489. Plaza, L., Daz, A., Gervs, P. (2008). Concept-graph based biomedical automatic summarization using ontologies. In Coling 2008: Proceedings of the 3rd textgraphs workshop on graph-based algorithms for natural language processing (pp. 53–56). Manchester, UK: Coling 2008 Organizing Committee. url:http://www.aclweb.org/anthology/W08-200. Soares, M. M., Corso, C., & Lucena, L. S. (2005). Network of syllables in portuguese. Physica A: Statistical Mechanics and its Applications, 355(2–4), 678–684. doi: 10.1016/j.physa.2005.03.017. url:http://www.isrl.uiuc.edu/amag/langev/paper/soares05networkOfSyllables.htm. Somasundaran, S., Namata, G., Getoor, L., & Wiebe, J. (2009). Opinion graphs for polarity and discourse classification. In: Proceedings of the 2009 workshop on graph-based methods for natural language processing (TextGraphs-4) (pp. 66–74). Suntec, Singapore: Association for Computational Linguistics. url:http://www.aclweb.org/anthology/W/W09/W09-321. Voorhees, E. M., & Harman, D. K. (2005). TREC: Experiment and evaluation in information retrieval. MIT Press. url:http://trec.nist.gov/.